They are very informative, very friendly, and they do a great job. They don't overcharge. Their friendliness is not phony. He has integrity, and he fulfills his contract. He does what he says he is going to do. They are very consistent in their work. We have them out once a year, maybe twice a year, depending on our need. They remember year to year what they have done before. They are very helpful. You call them up, and they call you back and set a time. They do good work. They are effective, easy to work with, and they produce results. They do what they say they are going to do, and they show up on time. They leave a bill, and they are affordable. 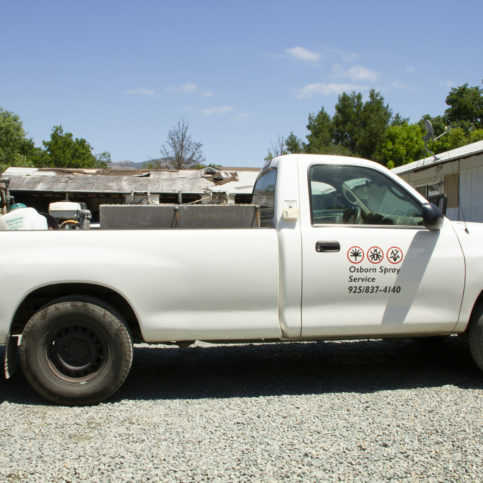 Osborn Spray Service provides pest control services for residential, commercial, and industrial clients throughout Contra Costa and Alameda Counties. 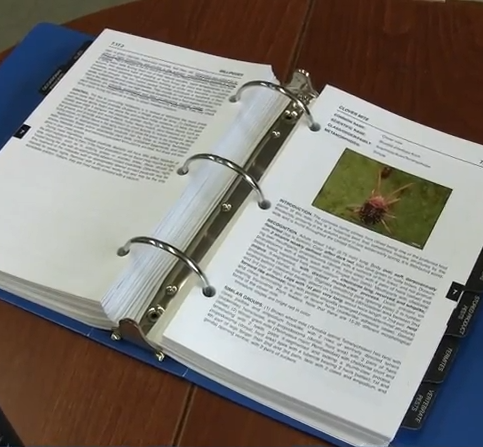 The family-owned and operated company uses a variety of regulated spraying methods to control ant, cricket, flea, cockroach, spider, earwig, weevil and rodent infestations. It also offers tree services (spraying, injection, fertilization) and weed control services designed for lawns, landscapes, and paved areas. Because pest control can be an ongoing process, Osborn Spray Service implements year-round programs so clients’ properties stay infestation-free. 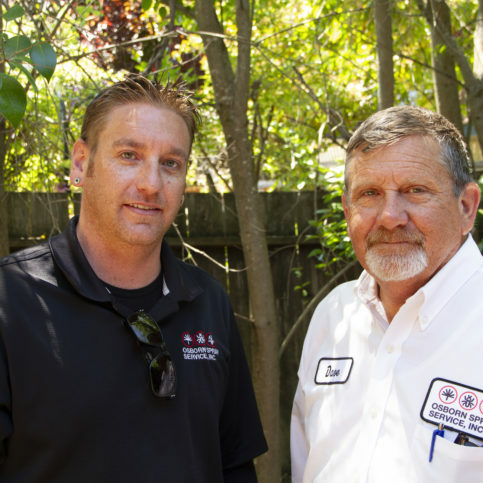 As a member of both the Pest Control Operators of California (PCOC) and the National Pest Management Association (NPMA), the company ensures its technicians stay up-to-date on the latest industry trends and practices. Kyle (L) and David Osborn proudly continue the legacy of their family business. 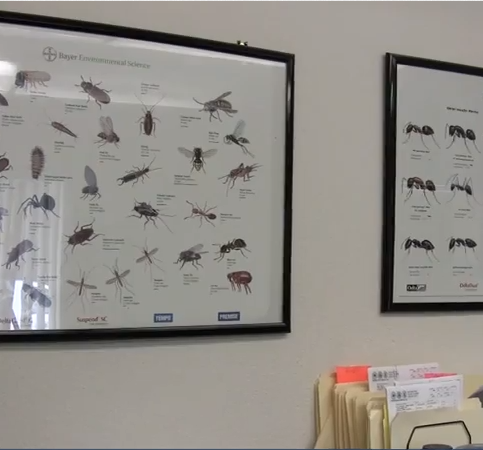 Osborn Spray Service has been ridding East Bay homes and business of unwanted insects and weeds for more than 70 years. The family-owned and operated company provides pest control services to combat ant, cricket, flea, cockroach, spider, earwig, weevil and rodent infestations. It also offers tree services (spraying, injection, fertilization) and weed control services for lawns, landscapes and paved areas. Osborn Spray Service doesn’t employ any salespeople, an approach Mr. Osborn says adds to its reputation for superior personal service. “People want their pest problems resolved, not a sales pitch. When we send someone to look at a problem, they’re focused on how to solve it, not on making a sale. We give our customers price quotes and let them make the decisions. They really appreciate that style of doing business.” Furthermore, when the company is busy, they don’t take on new customers. Mr. Osborn feels it’s better to let a potential customer go than offer them substandard service. • Seal cracks and holes on the outside of your house, including entry points for utilities and pipes. • Keep tree branches and shrubbery well-trimmed and away from the house. • Keep basements, attics and crawl spaces well-ventilated and dry. • Store garbage in sealed containers and dispose of it regularly. • Repair fascia and soffits and rotted roof shingles; some insects are drawn to deteriorating wood. • Replace weather stripping and repair loose mortar around windows and the basement’s foundation. • Store firewood at least 20 feet away from the house and five inches off the ground. • Clean leaf accumulations from gutters and downspouts; they can serve as breeding sites and hiding places for a variety of insects, including earwigs, millipedes, springtails and psocids. • Don’t allow ivy, groundcover, shrubbery or tree branches to grow in direct contact with your house’s foundation, exterior covering or roof. Q: Pests are a nuisance, but are they dangerous? A: They can be. Roaches are a leading source of childhood asthma. Rodents carry diseases and can chew through electrical wiring, causing fires. 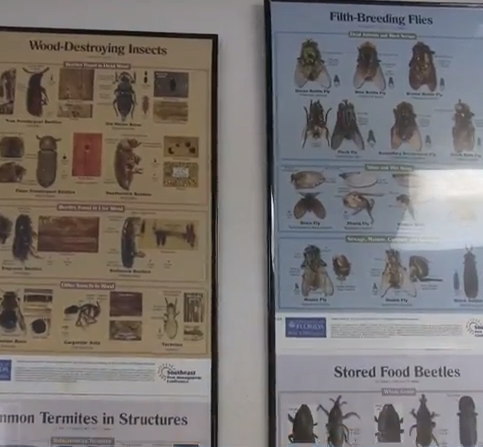 If you have a pest problem, you should take care of it right away. Q: Do you provide termite control? A: No, but we can recommend some reputable companies if you have a termite problem. Q: Do you trap raccoons and other animals? A: No. The animals we focus on are mice, rats, moles and gophers. If you have a problem with raccoons, squirrels or opossums, we can recommend a trapping service. Q: Are the materials you use safe? A: Yes. Depending on the situation, there may be certain restrictions, like not being able to touch the treated area until it’s dry. But our processes are safe for children and pets, and you don’t even have to leave the house for most of them. Q: Do you give free estimates? Is an inspection necessary before getting an estimate? A: Yes, we provide free estimates. Whether or not an inspection is necessary largely depends on the type of job. If you have an ant problem, for instance, we can usually provide an accurate estimate without a site visit. But if you have a tree problem, we really need to inspect it to find out what we’re dealing with. Q: Can you give prices over the phone? A: Yes. We’ll give you our basic rates when you call. 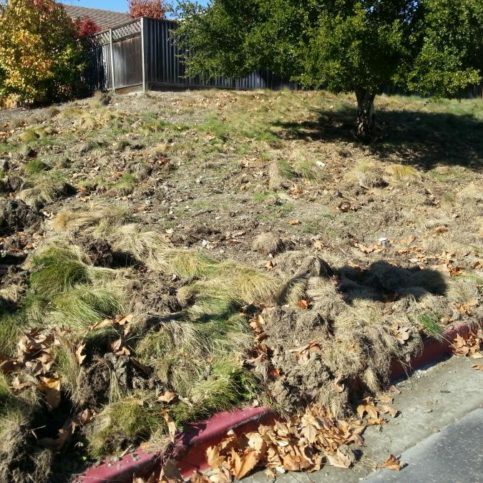 Sometimes, an accurate price quote for a specific job requires a site visit, especially for tree work or weed control. Q: What’s wrong with my tree? A: We really can’t tell without looking at it. It could be aphids, fungus, leaf lice or some kind of bacteria. We can solve most tree problems, but if we can’t, we’ll offer advice on how to proceed. We won’t sell you ineffective services. Q: Do you do tree trimming? A: No, but we can recommend a number of reputable tree trimming services with whom we’ve worked in the past. Q: Do you do weed cutting? A: No, but if you have the weeds removed, we can spray to keep them from coming back. It’s best for us to apply weed preventative during winter, so you can spend the summer worry-free. David Osborn is a 35-year veteran of the pest control industry and owner of Osborn Spray Service, a Diamond Certified company since 2007. He can be reached at (925) 405-6964 or by email. David says interacting with customers is his favorite part of his job. “I appreciate the opportunity to meet a lot of interesting people and educate them about our industry. I figure if my customers are more informed, they’re more likely to appreciate what I’m doing.” David says he also enjoys working alongside his son, Kyle, who represents the third generation of family involvement in the business. Q: If you could visit any country in the world, where would you go? A: Australia or New Zealand. I find that whole area fascinating, and I’d love to see the Great Barrier Reef. Keep your roofline clear of vegetation. A common point of entry for rats is the attic, but in order to enter, they have to get up on the roof. Often, they’re able to do this by climbing up tree branches or vines growing adjacent to the home. To cut off this route of access, trim back any vegetation that comes into contact with your roofline. Even if it isn’t quite touching, rats can jump, so don’t take any chances—cut those branches and vines back at least 18 inches. Seal up exterior breaches. 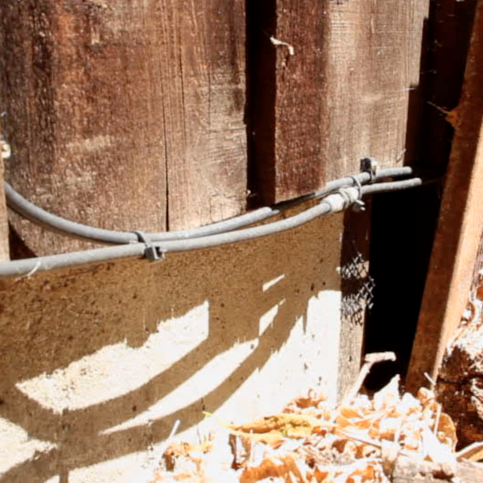 An even easier way for rats to access the home is via gaps and holes in the home exterior. A common example of this is crawl space vents with damaged or missing covers, which allow rats to get into the crawl space and travel undetected to the nearest interior access point. Homeowners are often unaware of such breaches for the simple reason that they don’t take time to regularly inspect their home exteriors. By inspecting your home exterior and sealing up any gaps or holes that you find, you’ll greatly reduce the chances for rats to enter your home. 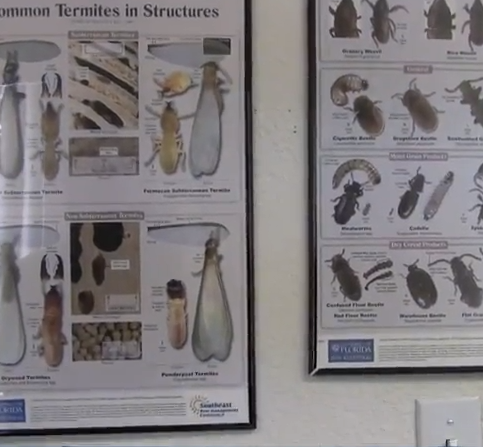 DANVILLE — The warmer temperatures of spring and summer lead to an increase in insect, spider, and rodent activity, which is why homeowners need to be proactive about keeping these pests at bay. One common concern people have is how to control the spider population in and around their homes. Luckily, there are a couple of easy, cost-free ways to do this. Since spiders tend to congregate in a home’s eaves, one effective measure is to recurrently knock down their webs, which thwarts their ability to get food and encourages them to “set up shop” elsewhere. Once a week, go through your home and use a broom or a Webster (a tool specifically designed for this task) to brush away any visible webbing in the eaves or corners of windows. You can also perform this step on your home’s exterior. Doing this for just 15 minutes each week will go a long way toward reducing the presence of spiders in and around your home. Another measure for deterring spiders is to keep exterior foliage well-trimmed. Trees, shrubs and hedges that come into contact with your house can be a catalyst for spiders (as well as insects and rodents) to gain entry. For this reason, you should inspect your home’s exterior from time to time and make sure all nearby branches and bushes are cut back a minimum of 18 inches. David Kyle Osborn: We want to show you a couple of helpful tips, as homeowners, how to keep rats out of your house. And right here we have 2 examples. For our roof rats we have out here, they are climbers and opportunists. And we want to make sure any vegetation, any branches, any vines, anything touching your roofline should be cut back at least 18 inches. I say 2 feet. Why not? There are bigger rats these days and they can jump a little farther. I’ll also show you holes, how they go underneath your house, under the crawlspace, just blatant holes that as a homeowner you can easily notice and should seal up. DANVILLE — Host, Sarah Rutan: If you have ongoing problems with spiders in or around your home, a simple weekly maintenance ritual can have a surprisingly impactful effect. Today we’re in Danville with Diamond Certified Expert Contributor David Osborn of Osborn Spray Service to learn more. Diamond Certified Expert Contributor, David Osborn: It’s springtime again. The wind is up and spiders become a problem. One of the biggest questions our customers have for us is, “How do we help control the spider?” If you remember Charlotte’s Web, spiders spin a web and get blown in the wind. This is how they disperse themselves. It’s a phenomenon called ballooning. They float through the air until they land in a tree or on a – hit a house on a hill. They tend to migrate down from the trees of the house into the web – into the eaves. And eventually, they’ll set up shop by spinning their webs. They can come into the house if they so choose. Some of the tips I have for homeowners – and I make this suggestion to my customers. If you’re in an area where you have constant problems with spiders, you should take a broom or a Webster – which I have in my hand here – once a week and go through and knock down the webs in the eaves and around the windows of your home. This will eliminate the webs and the ability of the spiders to gain food. This is how we do that. Just look for webs and just – even if you don’t see a web, I would knock down – just move my brush or the Webster around the windows and the eaves. This is where the spiders tend to congregate. Here we have a web. The advantage to a Webster is if you put the Webster right in the middle of the web and spin it, it will take up the whole web all at once. And you don’t – it works quite efficiently and you can get these Webster’s at Home Depot or any home improvement store. Just work your way around the house. Just a point of interest here, any hedge or shrub or tree whose branches reach the roof – they should all be cut back 18 inches. This helps rodent-proof your house. 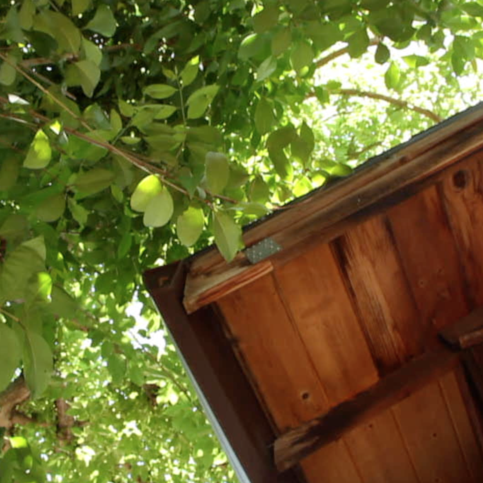 Rats like to climb up these – the shrubs and get up on the roof. If they can get on the roof, they can get into your attic. So, that will help rodent-proof your house as well. So, once a week, if you Webster your eaves, it takes about 15 minutes. It will go a long way in keeping your house free of spiders. Osborn Spray Service : Average 9.2 out of 10 based on 301 unique customer surveys of customer satisfaction. They are very easy to work with, and the automated billing is nice. I am really happy with them, and I don't have bugs. I also like that they are a local company. Their advice is excellent. I mainly have tree care. They did their job. They are just wonderful. I like that they are a local, small business. I have been using them for over 20 years. I have known them since I was a little kid. My family has used them. Trusted, and they know what they are doing. They do the job and get it done. You can count on them. I have been using them for years. I just call, and they come out. 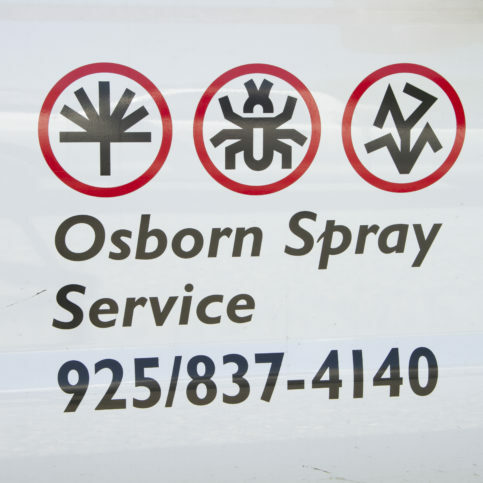 I would say remember the name Osborn Spray Service. I have referred them. They are professional and do a great job. The confidence in how they did the job. They really listened and were very respectful. I didn't want to use poison, and he understood. They are fabulous. I have used them several times. They are on my go-to list. They are kind, prompt, responsive, and they listen. I think they are fabulous. They called to let us know they were coming. I have been using them for 18 years. I think that says it all. They are reliable, responsive, and helpful. 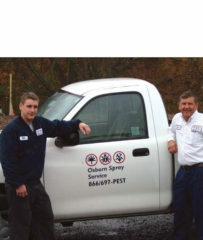 They are the best pest control company that I have ever used. I had a really bad ant problem, to the point that I was ready to move. They were even coming out of the walls. They were able to take care of the problem. They are very reliable. We have a dog, so they always call ahead to make sure it is all right to come out. I think they are considerate.